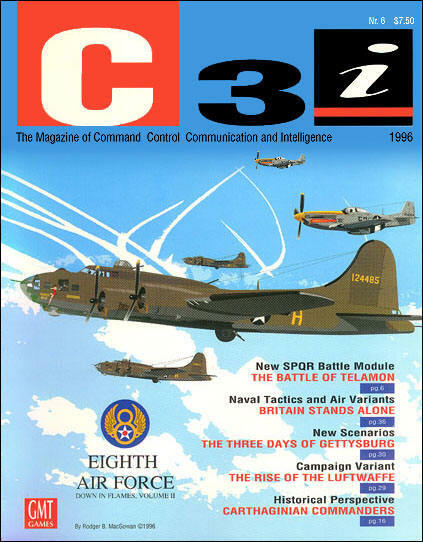 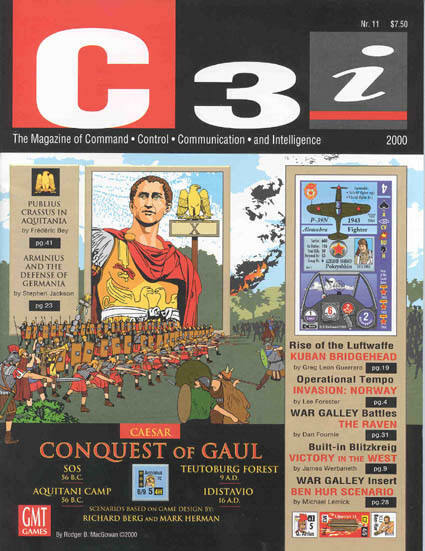 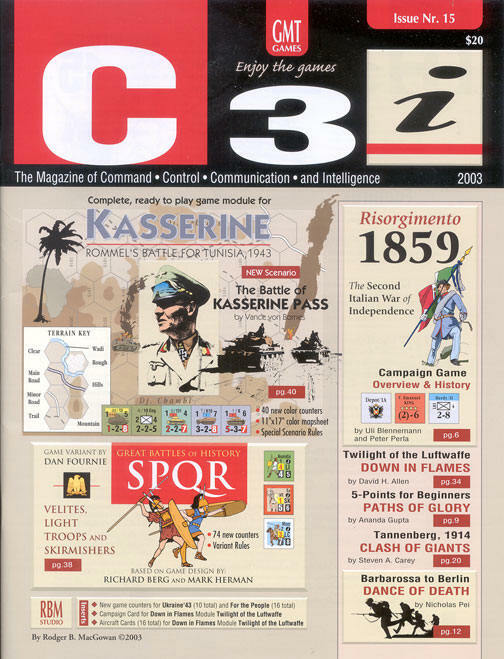 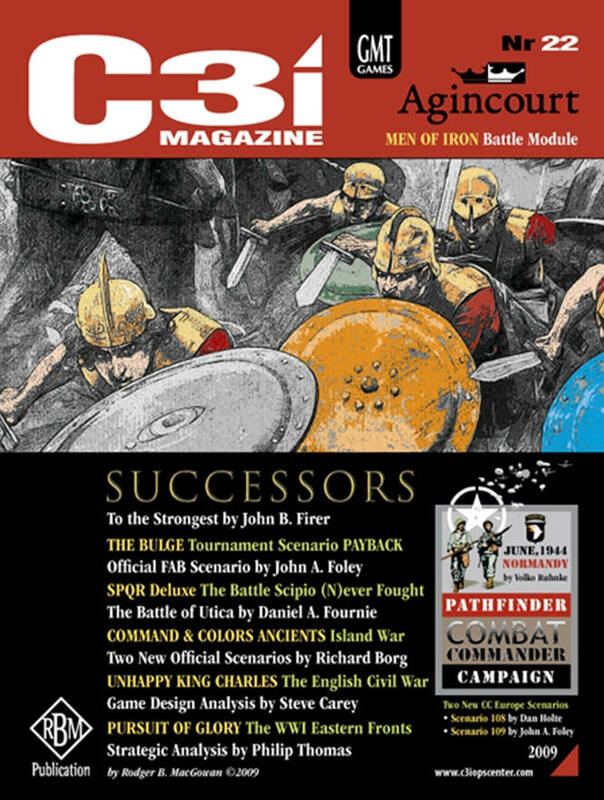 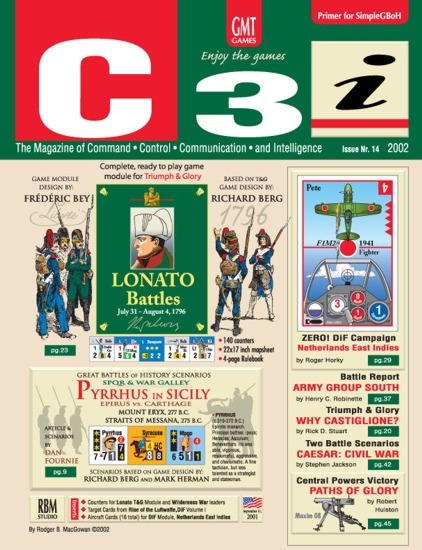 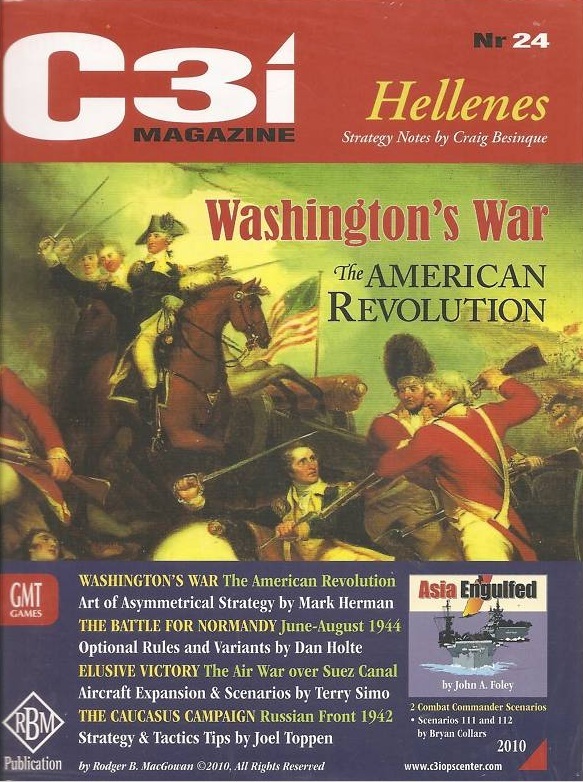 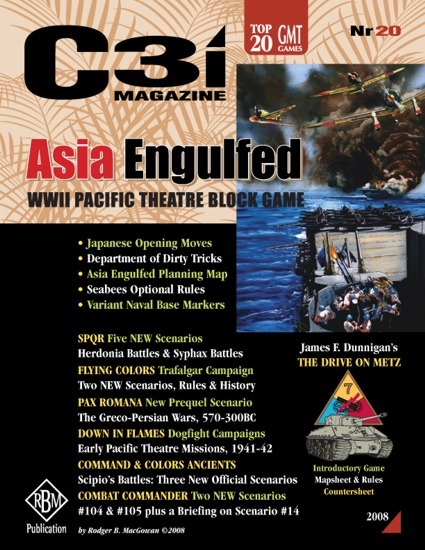 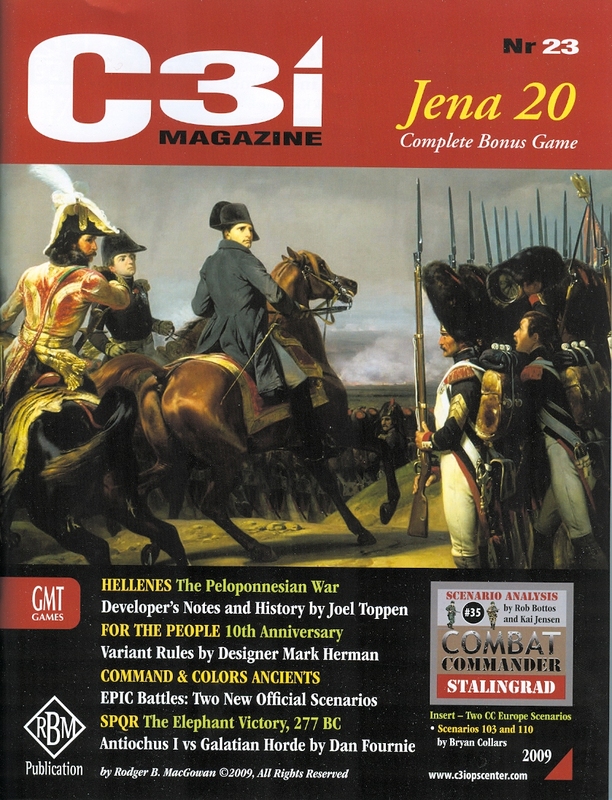 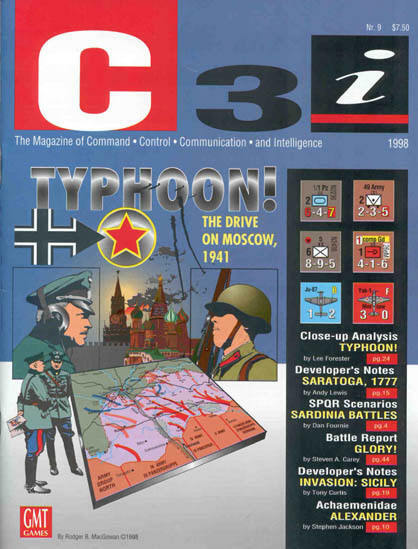 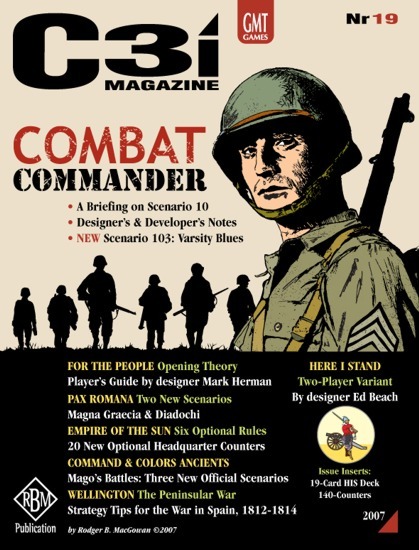 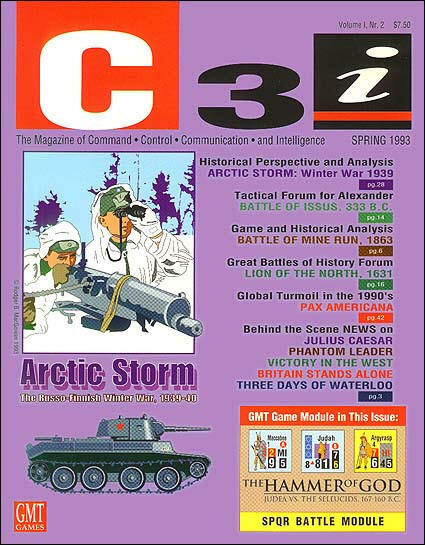 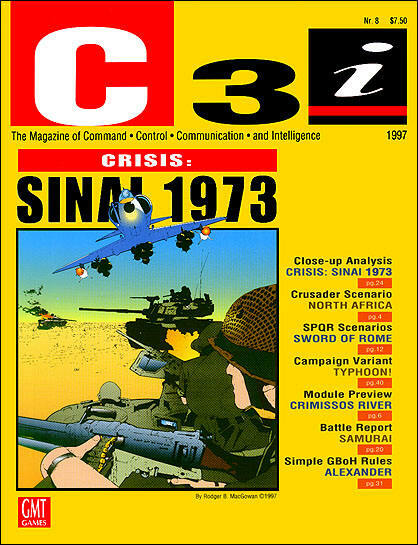 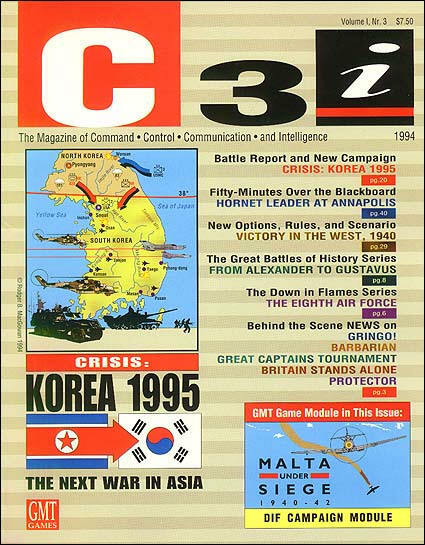 C3i Magazine was created by Rodger B. MacGowan in 1992 as a house organ for GMT Games. 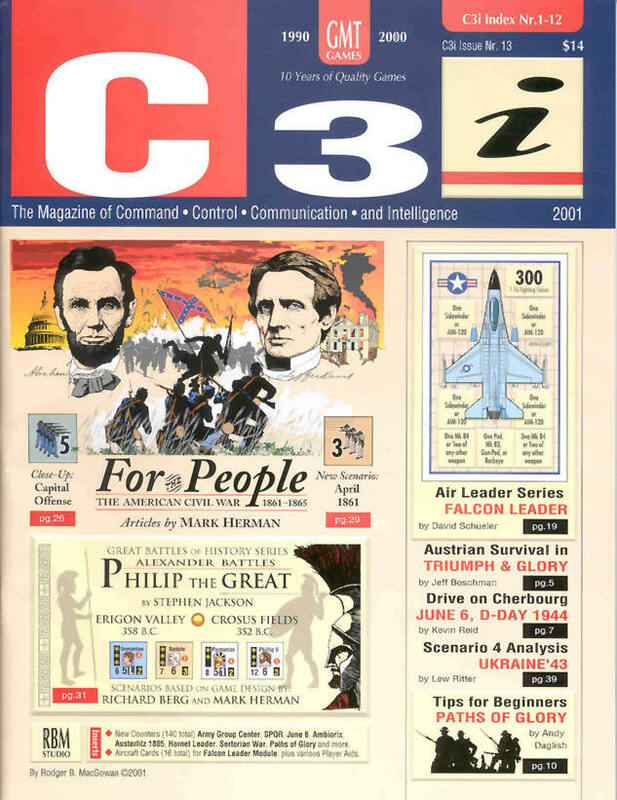 (The title comes from C3I, a military acronym for "Command, Control, Communications and Intelligence"). 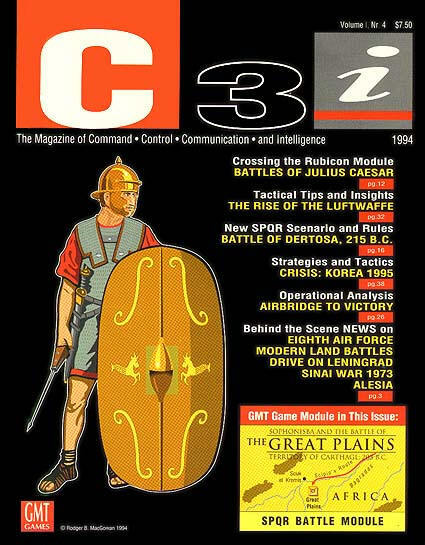 C3i is devoted to GMT Games. 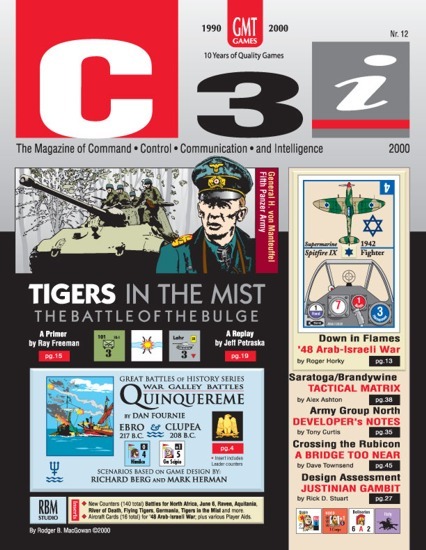 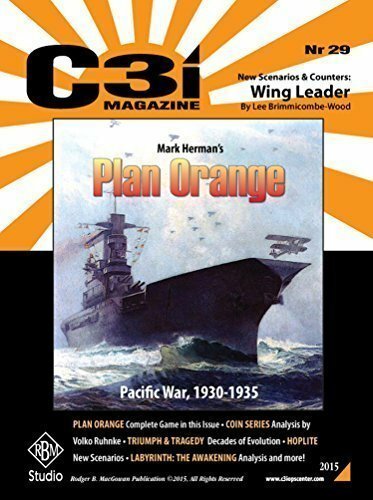 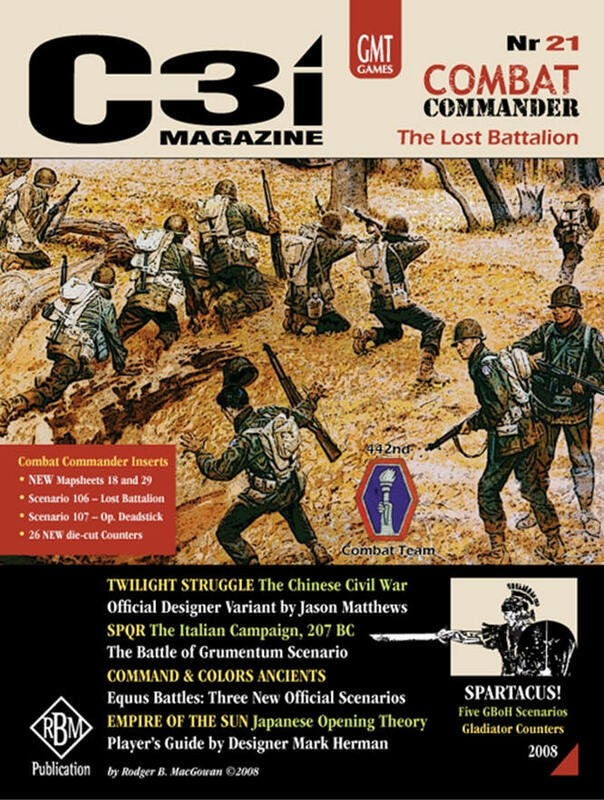 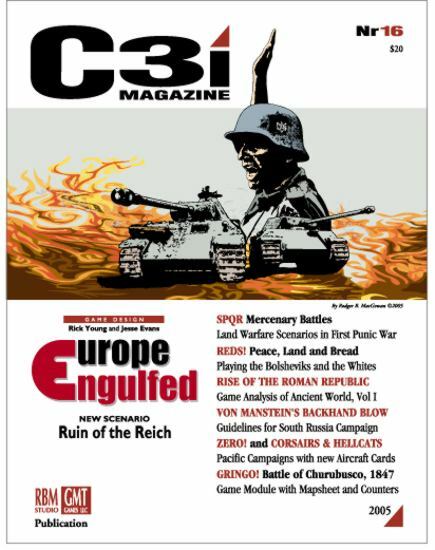 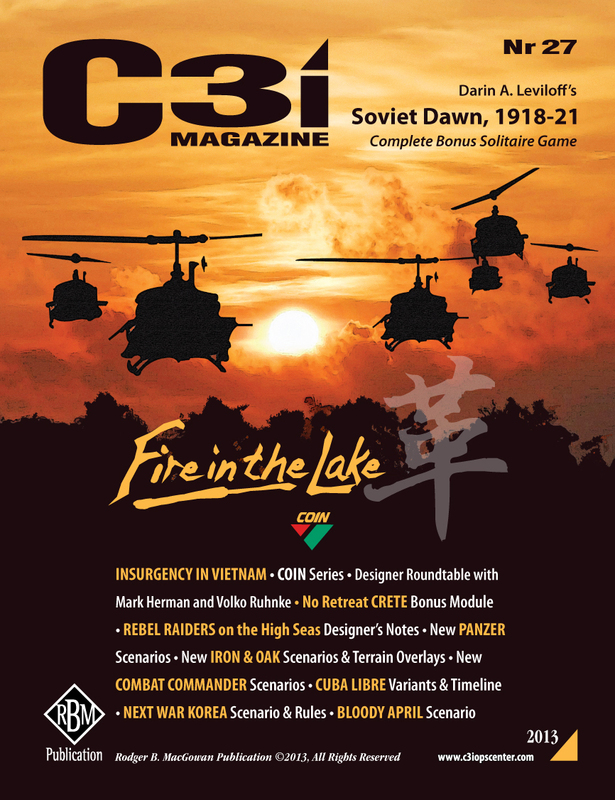 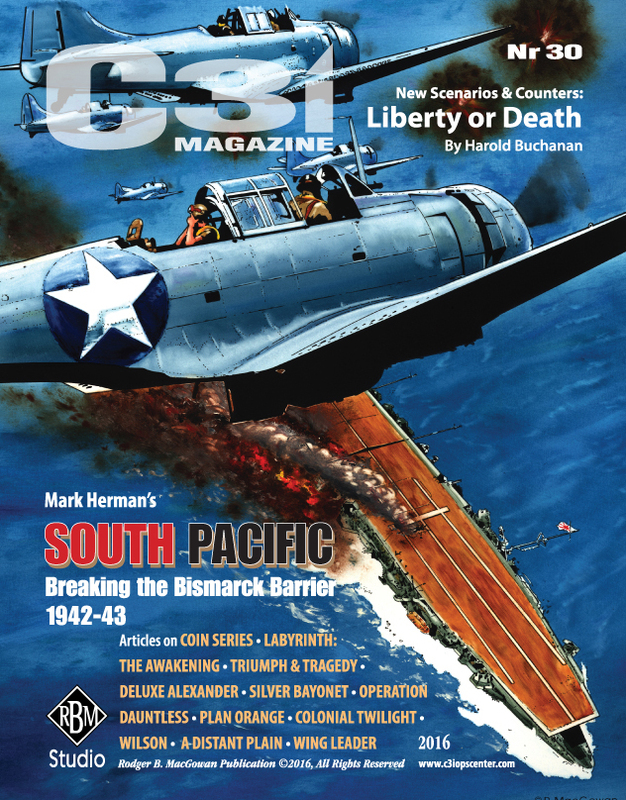 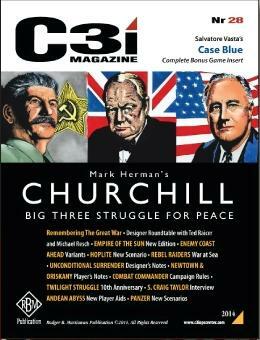 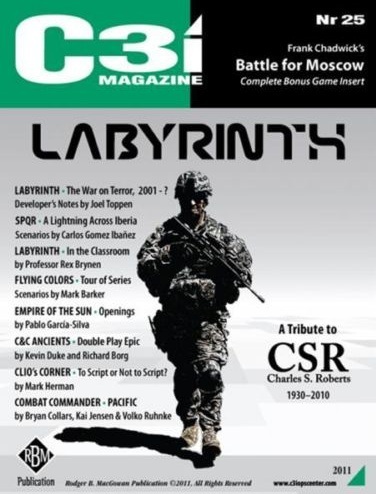 C3i is not a review magazine. 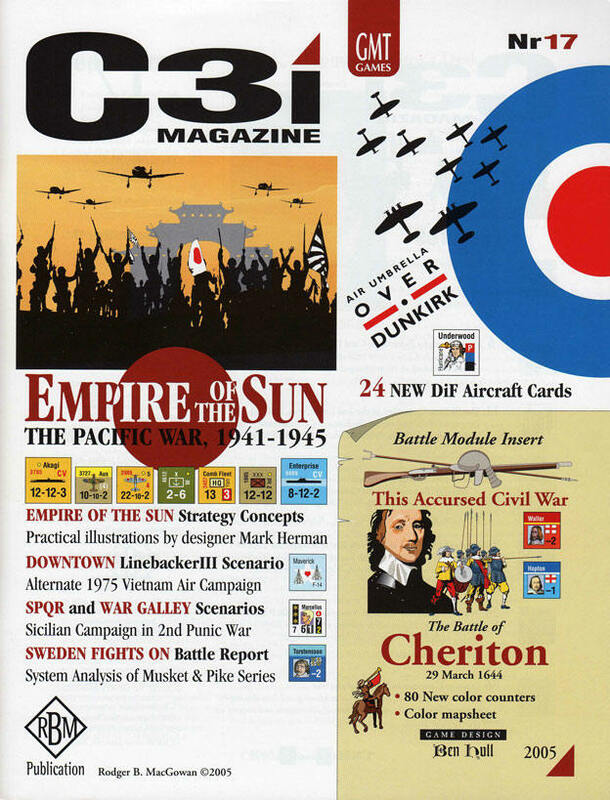 We want to provide you with articles that will inform, entertain, add to your perspective and instruct you in your enjoyment of GMT games. 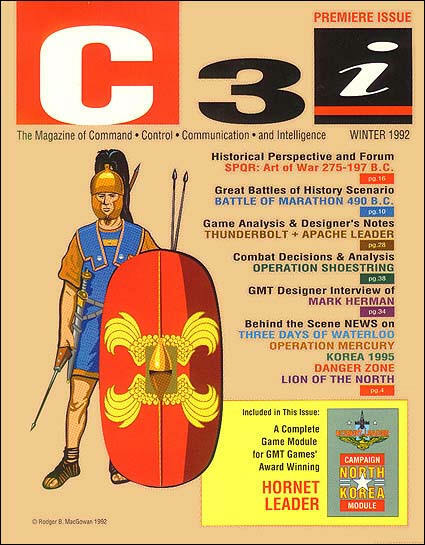 But we have no intention of making C3i some kind of publication-Cyclops with a closed mind. 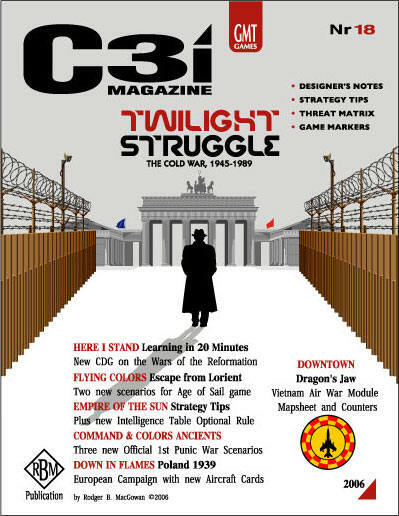 This will be an in-house magazine with an independent vision and perspective. 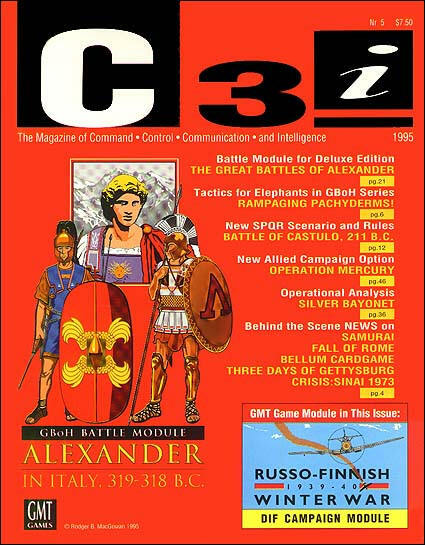 We will talk about the rest of the hobby in a constructive and friendly manner. 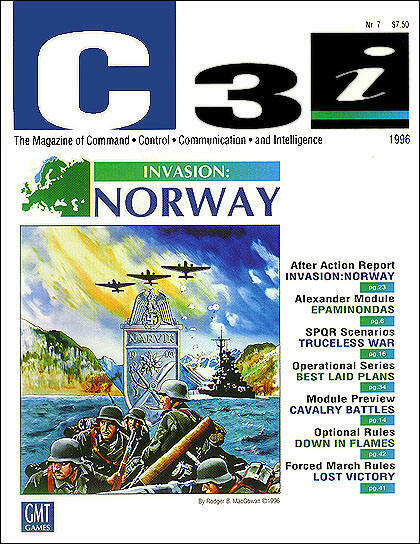 C3I will be inclusive and not insulated from the hobby and industry.